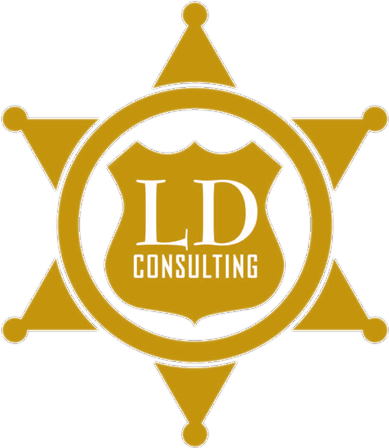 In addition to inspections and audit training for law enforcement professionals, LD Consulting LLC specializes in law enforcement related consulting services. Our services are tailored to our clients’ specific needs. Consulting services may involve organizational assessments / reviews / audits and may include one or more organizational components or an entire organization. Our group also has extensive experience in Early Intervention /Warning Programs/Systems (EIP OR EWS). Our group has over 100 years of law enforcement experience from line level officer and professional police auditor, to police chief. During their careers our group members have worked, supervised and held commands in nearly all areas of law enforcement. Just a few of these areas include, auditing, inspections, risk management, criminal investigations, professional standards, aviation police, tactical divisions (SWAT), early intervention systems and consent decree management. Our group also includes a forensic accountant for financial assessments and financial fraud investigations. In addition to our executive advisory group, we have a number of specialists at our disposal for all types of law enforcement consulting needs. Dan is a Police Lieutenant with the sixth largest city in the U.S., where he has worked for over 30 years. For eleven years Dan supervised the department’s Inspections Unit. While assigned to that unit he and his staff were responsible for conducting all internal audits and inspections for the police department. He was also responsible for the risk management unit and oversaw the design, implementation and operation of one of the first Early Warning/Intervention Systems. Dan is a founding member of the International Law Enforcement Auditors Association (ILEAA) and served as the president of that organization for two years. Dan is a member in good standing with the Institute of Internal Auditors (IIA), the International Association of Chiefs of Police (IACP), is a Certified Law Enforcement Auditor (CLEA) and has a Masters degree from Northern Arizona University. Gerald Richard, currently is a member of the Department of Justice, Institute for Intergovernmental Research (IIR) Collaborative Reform Initiative Team focusing on the Salinas, California police department. He is also a member of the Bureau of Justice Administration’s VALOR Officer Safety and Wellness Training and Technical Assistance Program. He recently served on the IIR After-Action Assessment Team for Ferguson, Missouri. He retired after serving as Assistant to the Chief of Police of the Phoenix, Arizona, Police Department. He was responsible for overseeing the Legal Unit, Phoenix Police Training Academy and the Employment Services Bureau as well as department leadership development and training. He was also responsible for implementing recommendations submitted by the Community Engagement and Outreach Task Force and community advisory boards, overall police and community relations, and legislative issues. Previously, Mr. Richard served the Arizona Attorney General’s Office as a Special Policy Advisor for Law Enforcement. His experience includes positive and proactive police/community development, negotiations, and resolutions; passive and large-scaled, highly charged controversial demonstrations; public safety and emergency management; local, regional, and federal planning; corporate communications; intra- and intergovernmental relations; grant oversight; community-oriented crime prevention and intervention services; and other core public services. Gerald is an experienced litigator, arbitrator, and legal advisor for local, state, federal, community, and faith-based organizations. He has extensive experience serving as adjunct faculty/guest lecturer. He is a member or past member of numerous professional associations, boards, and commissions. He is the pastor of Murph Community A.M.E. Church in Phoenix, Arizona. Contact Dan Olson at Dan@www.ldconsultingllc.com or call at 602-510-8481 to determine how we may assist you.